I have my computer back with more Ram thanks to my son Heath. 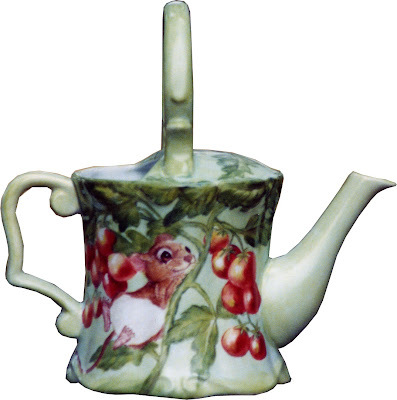 Here are both sides to a porcelain watering can painted with mice enchanted by the prospect of cherry tomatoes for dinner. Sort of stylized mice but good for a smile. No, I did not work from live models.